This enhances my cajon sound very nicely. It is nice for smaller gigs with only the cajon instead of the whole percussion rig. It adds a lot of flavor the many beats and fills. Certain songs might only require this type of wood click (clave) style beat with a shaker. Handy and well-priced tool every busy percussionist. Also great for mounting in your car while driving. You can play nice patterns with two different sized models, while listening to music and driving to work :D All in all a nice product that opens a new world of sound when added to a traditional cajon. The attachment system is nice, but the sticky tape will be permanently on your drum! 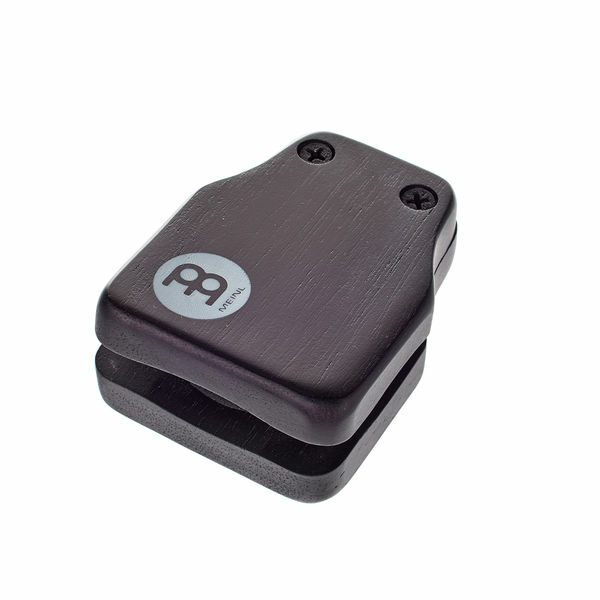 This and other Meinl Cajon Castanets are great and cheap ways to add some variations to your Cajon grooves. It's good to combine a couple of them, for example adding the jingle version. They stick to the surface quiet well, and didn't leave any stain on my Cajon. ID: 280164 © 1996–2019 Thomann GmbH Thomann loves you, because you rock!